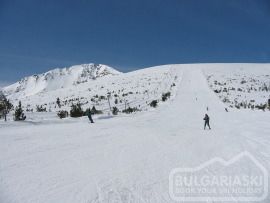 British Prefer Pirin Mountain to the Alps "Bansko and Borovets winter resorts are among the most preferred by the British ski destinations," the head of the Bulgarian Association of Hotel-keepers and restaurant-holders, Blagoi Ragin, stated at the opening of the International Tourism Fair held in the Black Sea city of Varna. In Ragin's opinion, Bansko winter resort, located at the foot of Pirin Mountain is a big competitor of the winter resorts in the Alps. "The English prefer skiing in Bulgaria, because they find it cheap, while the offered services are of European quality," Mr. Ragin explained. Ragin is also explicit that the next winter season will register a growth of the British tourists by at least 15%. At the same time, some 90% of the Russian tourists complained of the slow service at Varna and Bourgas Airports during the summer season. And due to this, Mr. Ragin said that the two airports should be urgently granted on concessions.